“The camaraderie brings me back here – you can see if you look down the row [gestures to the adjacent booths] Adam Avery is here pouring his own beer, Tomme Arthur from Lost Abbey’s here pouring his, so all the brewers are actually here behind the booths and you get to meet the people who make the beers that we love. 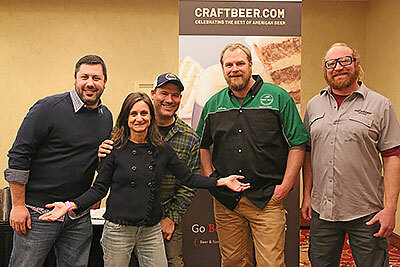 – Fred Bueltmann (Beervangelist), New Holland Brewing Co.
“Honestly, I don’t want to tell you anything about the Vail Big Beers Belgians and Barleywine Festival, but I must. 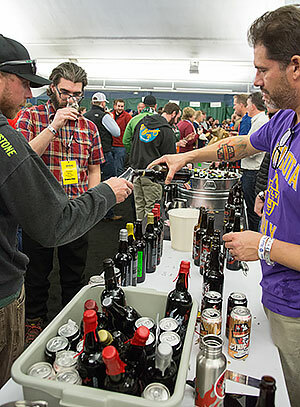 I’d prefer not to list breweries who were in attendance, the beer celebrities who were milling around the grounds, and I especially would rather not divulge the amazing bounty of beers that was poured. “So here’s the prescription: Take a couple of hundred beers, most 7% alcohol or greater with hardly a dud in the lot, add not one but two beer dinners, mix in a handful of seminars and tastings, and season with some of the best craft brewers in the land. 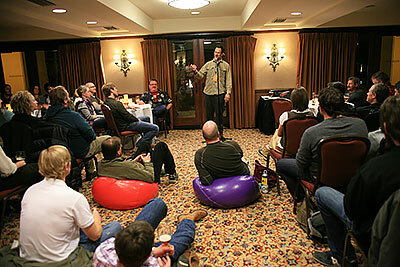 “It was refreshing, and I hope other Brewers were taking notes, to hear Adam talk about high-alcohol brewing as a way to create flavors that age gracefully rather than a bullet train to drunkenness.” (Referring to the “High Alcohol Brewing” seminar with Adam Avery and Sam Calagione).